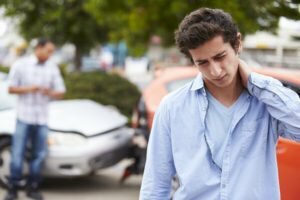 If you were injured by a negligent driver in Kentucky, that person’s insurance should pay for your vehicle repairs, medical bills, and other damages. Unfortunately, some drivers do not have insurance, and if you were injured by an uninsured driver, it is important that you learn your rights and take immediate action. Collisions with uninsured motorists are alarmingly common in Kentucky. According to the Insurance Information Institute, Kentucky ranked 12th in the nation for the number of uninsured motorists in 2012. That year, approximately 15.8 percent of drivers in our state were uninsured. If you were hurt or lost a loved one due to a drunk, distracted, or negligent driver, contact the Troutman Law Office. Attorney Matt Troutman will evaluate your case, examine your insurance policies, and explain your options for recovering compensation. Mr. Troutman has been a practicing personal injury attorney since 1986, and if your case goes to trial, he has the litigation experience to represent your interests in court. Call today to schedule a free consultation with a personal injury lawyer in Louisville. In the state of Kentucky, auto insurance companies are required to offer uninsured motorist coverage; however, drivers can reject this coverage or reduce its limits by completing the appropriate paperwork. If you carry uninsured motorist coverage and you were injured by an uninsured driver, you may be able to recover compensation by making a claim against your own insurance company. Bear in mind, though, that insurance companies are businesses. Your insurer will look for any possible excuse to reduce your payout or deny your claim. There are specific steps that you must take to give your claim the best possible chance of success. An experienced personal injury lawyer can help you navigate the claims process and avoid costly mistakes. If your uninsured motorist policy does not cover all of your damages, you may be able to cover the difference through a family member’s insurance policy or your own policy depending on the specific types of insurance coverage you have. If you do not have uninsured motorist coverage or if it is not enough to pay for all of your damages, you can file a lawsuit against the at-fault driver. However, it is often pointless to do this because drivers who do not carry insurance usually do not have the finances to pay for the damages they cause in accidents. Your attorney can investigate your collision to find out if filing a lawsuit would be worth your time. If you were hurt or lost a loved one due to an uninsured driver, turn to the Troutman Law Office. Matt Troutman is a car accident attorney in Louisville who will compassionately represent your interests. Schedule a free consultation today by calling. Visit the USAttorneys website to learn more about car accident injury claims in Kentucky.